Dental implants are leading-edge technology that started over 5,000 years ago. Archeological evidence shows that people have been attempting to permanently replace lost teeth with “rooted” implants for thousands of years. Primitive implants have been found in remains from ancient China, Egypt and the Mayan Empire in Central America—with tooth “roots” constructed from bamboo, precious metals, and seashells. This long search for a solution to tooth loss is testimony to the important role a full set of teeth plays in our lives. Tooth loss makes eating and speaking difficult, affects nutrition and overall health, and can lead to bone loss for an aged appearance. Today, tooth loss affects almost 70% of people over the age of 35. And, about 25% of adults over 60 have lost all of their natural teeth. Fortunately, current dental technology offers a solution to replace lost teeth with dental implants that function like natural teeth. The implants used today were developed in Sweden in the early 1960s—and incorporate titanium “replacement roots” into the jawbone. 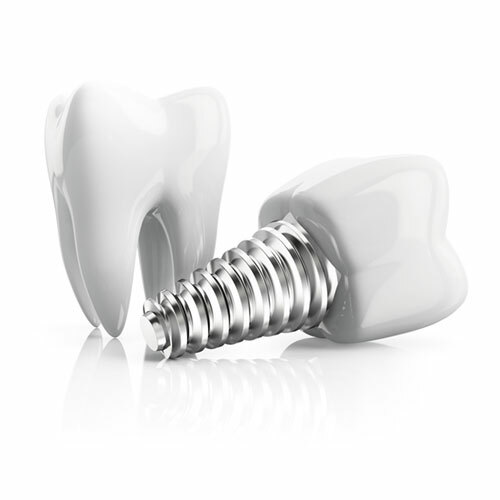 Over the decades, the implant process has been refined, enabling millions of people to benefit. At Pristine Periodontics, we’re committed to taking dental implants to an entirely new level and improving lives in ways that were never before possible. To learn more, call Pristine Periodontics at 248.901.0000 or click here.